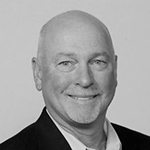 William Holman has been a telecommunications and networking industry leader for over 30 years with a proven record of successfully building national teams, developing programs, and driving revenues and profits. In his current role at Black Box Corporation as Vice President and General Manager of the Edge Technology Solutions Business Unit, he focuses on leading mobility, networking, and connectivity solutions and services. Prior to Holman’s 15 years with Black Box Corporation, he was a 10-year executive veteran of a Global 500 Corporation.